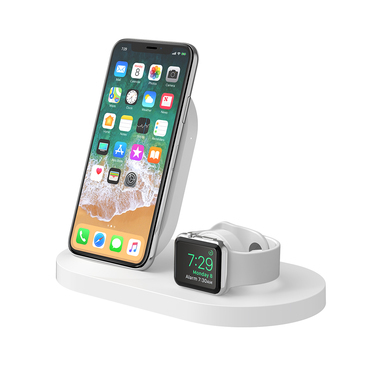 BOOST↑UP™ Special Edition Wireless Charging Dock for iPhone + Apple Watch + USB-A port is rated 2.8 out of 5 by 19. 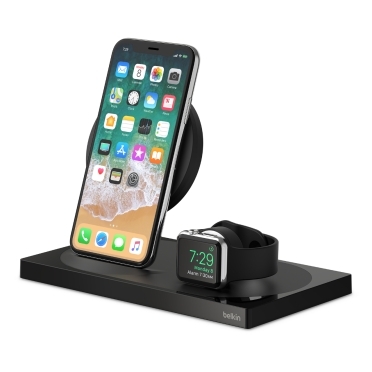 Rated 5 out of 5 by miqoop from Works Fine with XS Max Perfect for my nightstand. Replaces my alarm clock. Worked with my iPhone XS Max right out of the box. 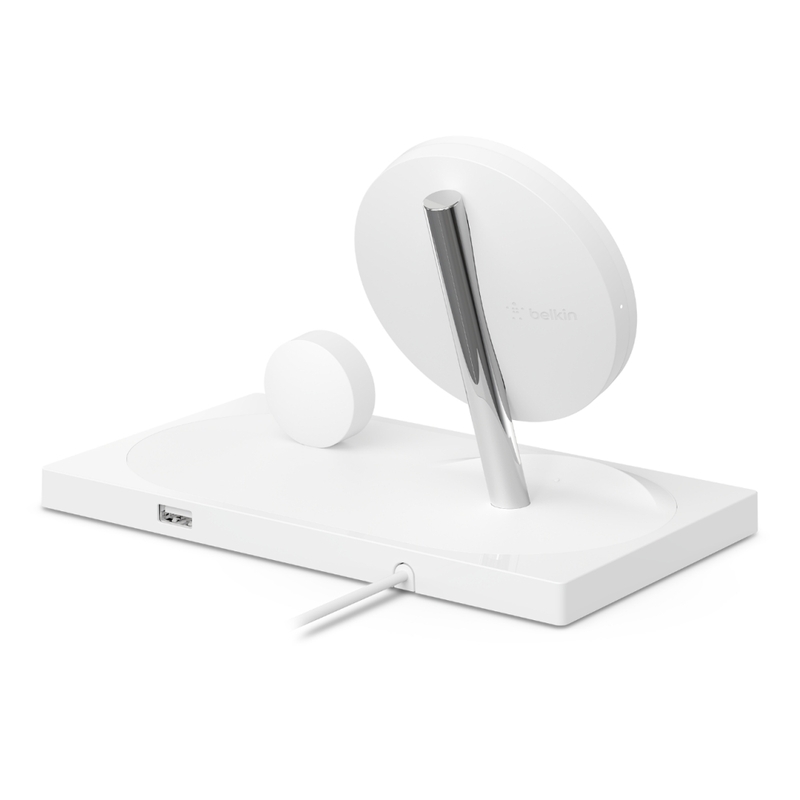 Oval that supports the phone has a light on the left side that stays lit when the phone is charging. Nice feature. 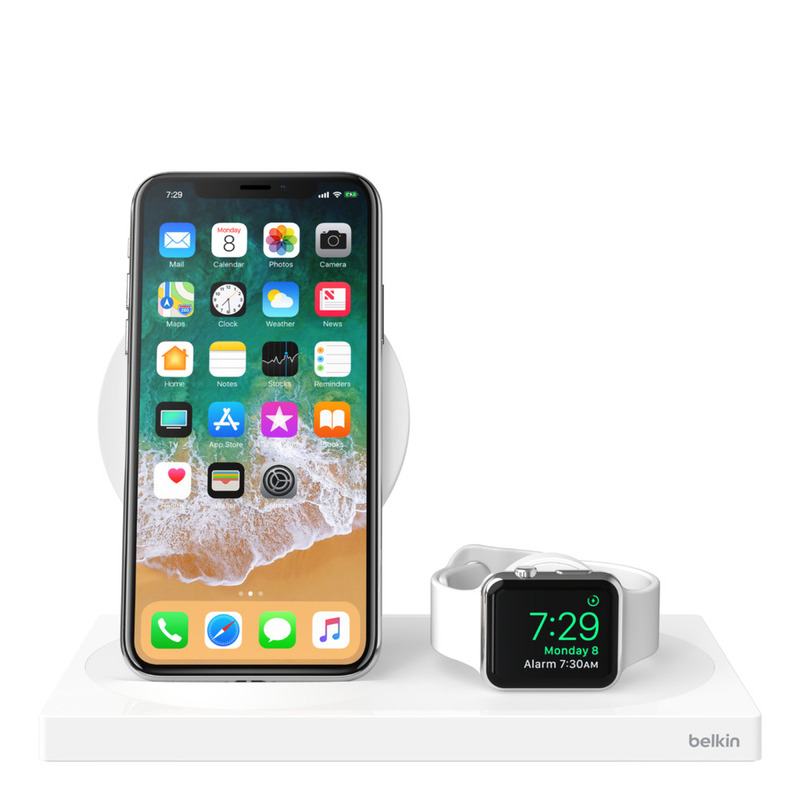 Rated 5 out of 5 by iphone max from Works great I replaced a Belkin Valet charger as they did not work with the Iphone XS. So far the charger has not failed to charge my Iphone XS Max with an plastic case. 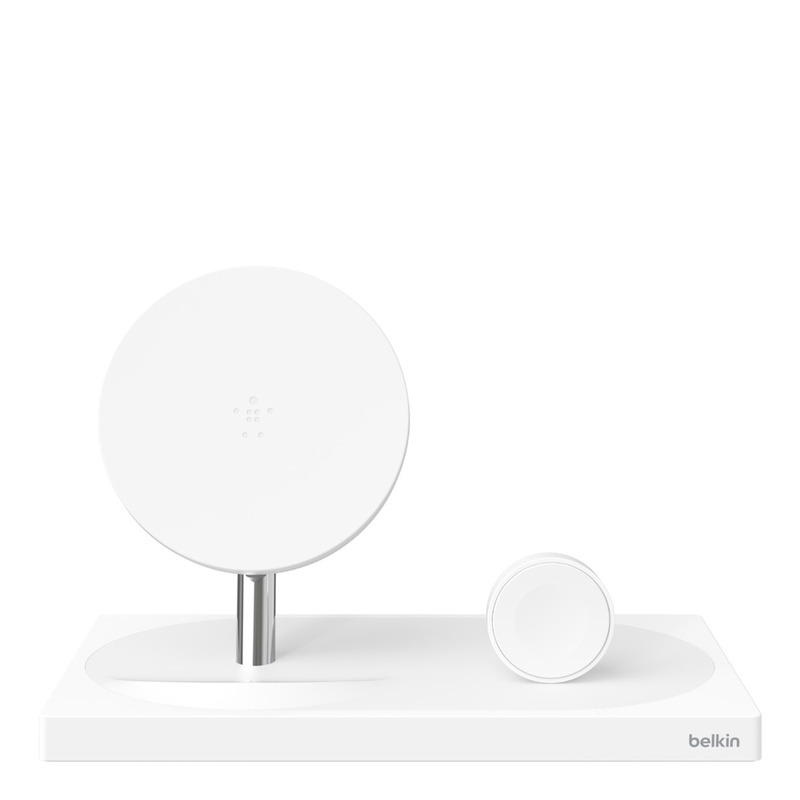 The only worry I have is that this will fail to charge a future phone like the Valet did, for no other reason other then poor planning on Belkin part. Rated 1 out of 5 by Aaron A from DO NOT BUY THIS This charger will not work properly with a IPhone Max with any case. It especially does not work with the Otter Box Cases. It appears when the case is on the phone sits to high to work properly. When turned side ways it will work. Stay away from this charger unless you wish to remove your case every night. 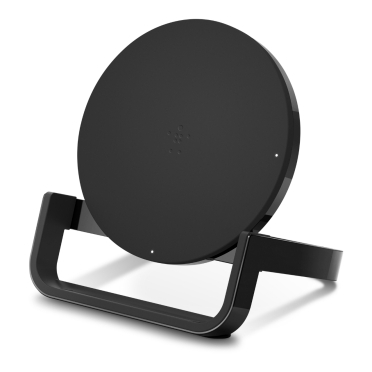 Rated 5 out of 5 by mxgm013 from Awesome wireless charger I bought this a couple weeks ago to get rid of the clutter on my desk and so far I'm impressed! 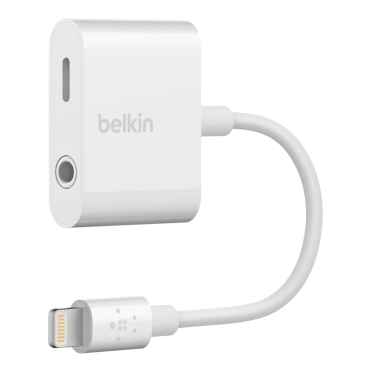 It's my go-to charger at home to charge my iPhone XS Max and Apple Watch. 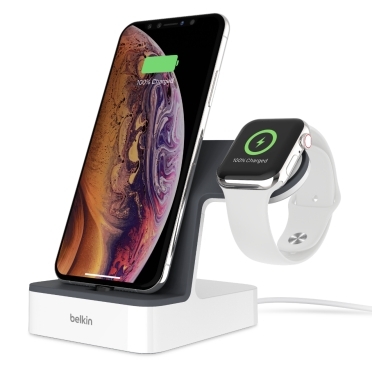 I also just recently bought the new iPhone XS Max Smart Battery Case and it's been working well with this wireless charger. 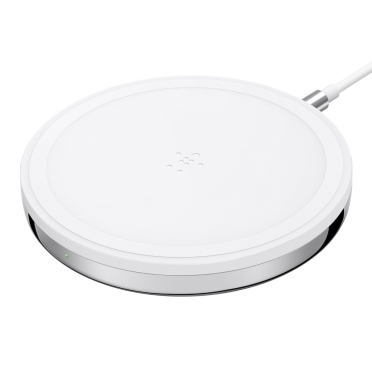 It's a bit on the pricier side, BUT i think it's worth it - especially the wireless fast charging it offers. Rated 1 out of 5 by AnaC from Didn’t work I have an iPhone 8 Plus and when I connected it it says it’s charging but actually is discharging the phone, it’s completly the opposite. Rated 1 out of 5 by Karli from Doesn’t work I got this for Christmas 2 weeks ago! 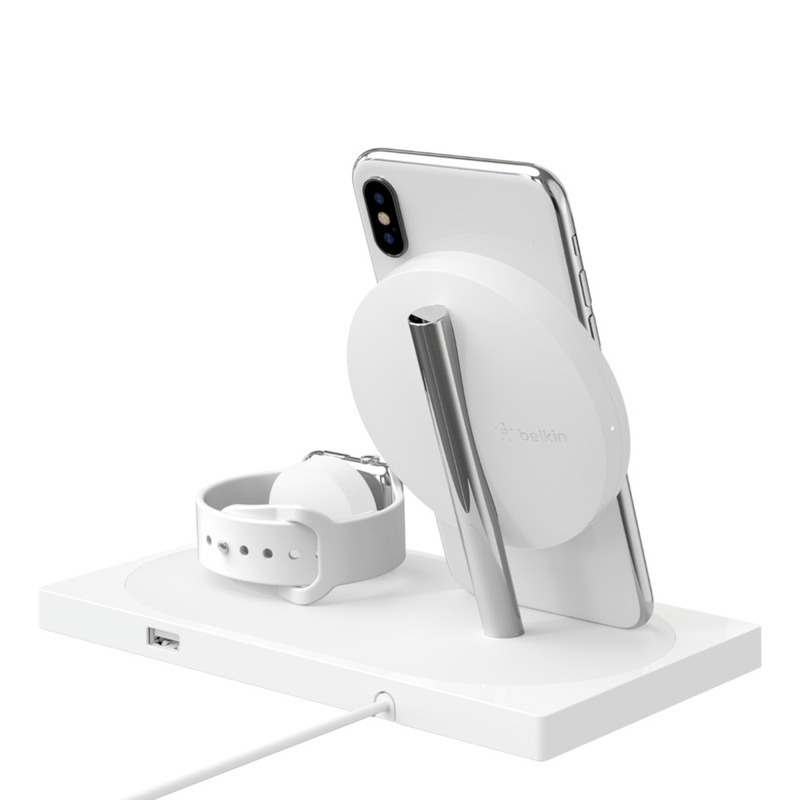 It worked great, and I loved the idea of having my watch + phone charging at the same time next to each other without a bunch of cords! But, for whatever reason it just quit working on me. 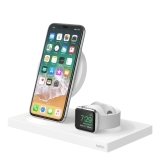 I’m super disappointed as this costed $200 at the Apple store. And I have only had it since Christmas Day.. Rated 5 out of 5 by SmonB1964 from Great Looking and works perfectly Purchased as a gift to myself :-) as I just brought my wife the powerhouse charge that she loves!! 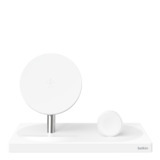 Very sleek design, keeps my night stand nice and tidy. Works perfectly although you have to be careful with the placement of my iPhone Xs. Charges quickly and I now use my phone as my morning alarm instead of an old FM radio !!!!!! 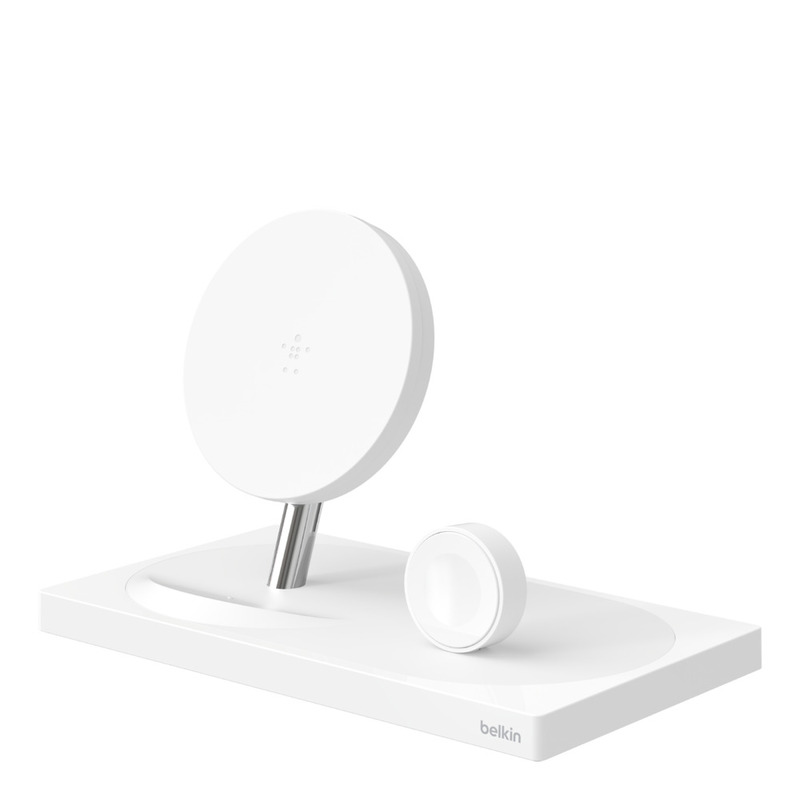 Highly recommend product. I did purchase through Apple Canada and product arrived 2 days later.